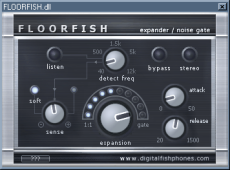 If you're looking for a free noise gate VST plugin, you must first try floorfish. This gate / expander does the job perfectly. Useful for removing background noise, and can be used for more radical gating effects. engineered and thought out beforehand for freeware FX. very nice for a free plugin, works great! 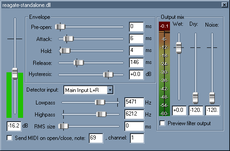 A very good free stereo expander VST, use it for de-essing and noise gating. With the key signal option you can monitor the trigger signal. The VST version of the gate effect that comes with Reaper.